I’m a pro at making mistakes. I’m also gifted at guilting myself over them. Until now. Mistakes are a place to start learning. I often find myself saying “If I could go back…” or ”I would do this differently.” The fact is – we can’t go back. We can only start today. I’m also realizing the importance of owning my mistakes, learning as much as I can from them, and passing my wisdom to others. 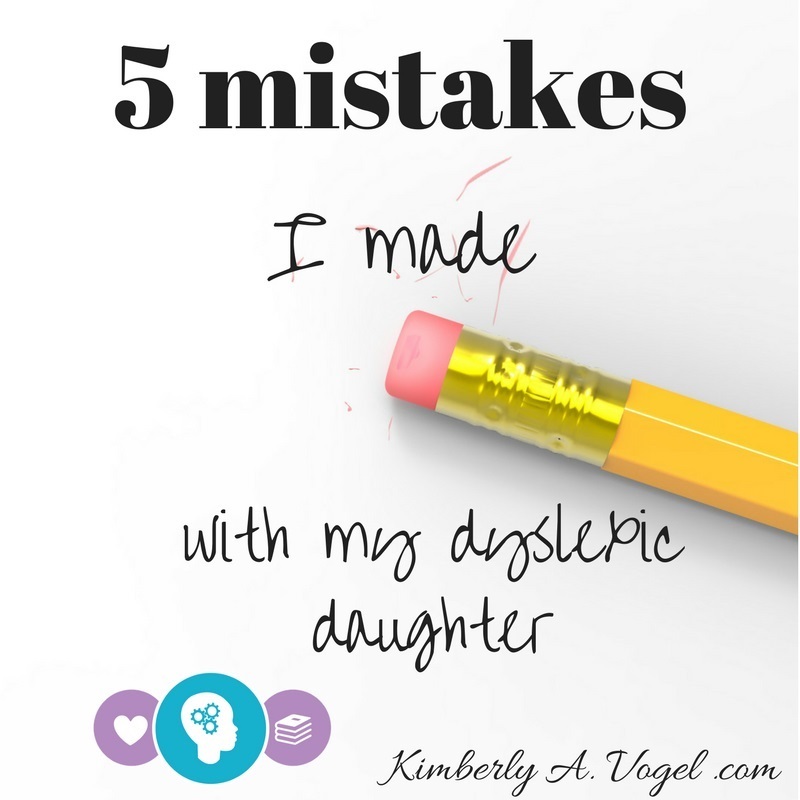 Now that I’m years into my journey with a struggling learner – a daughter with dyslexia, I want to share with you some mistakes I made in the hopes that you can avoid making the same ones. 1. She’ll grow out of it. When learning struggles first make an appearance, usually in pre-school, it’s hard to tell if it’s a true developmental struggle or something the child will outgrow. You don’t always know. But if there are multiple red flags or more signs that appear, thinking your child will grow out of it becomes a form of denial. In this same category is another phrase, one that I fell for, “But there are no learning disabilities in our family.” While LDs do typically run in families, that’s not always the case. In our situation, I seriously believe they are there, but are undiagnosed. Yes, your child might grow out of, but if early intervention is key, why take that chance? 2. Wait to get a diagnosis. Why even get a diagnosis? That is a big topic for another day! In my situation I wanted a diagnosis, but couldn’t afford one. Or couldn’t see spending that much money in one place on one child. It didn’t seem reasonable. What would it change? After I received the diagnosis, it made all the difference! A solid diagnosis by a helpful diagnostician is worth it’s weight in gold. Don’t wait. As a homeschooling mom, isn’t it up to me? Why bring in other people? Who do I even turn to? With the abundance of Facebook groups and organizations like SPED, there are people to walk with on this journey. When I started our journey, the groups were not there. I didn’t know who to turn to. Now I have a network of therapists and other moms to lock arms with and fight for my kid. How many times do we try a curriculum because our friend used it with their kids and promised success? Or we get it as a hand me down and don’t want to buy another thing that might not work… In each area of learning struggles, especially Dyslexia, there are proven methods that work. For Dyslexia, OG based programs (systematic, explicit approach to phonics) are the only ones to use. For Dyscalculia, a solid number sense foundation is key. With Dysgraphia, handwriting still needs to be worked on, along with adaptations and technology. Using non-proven methods or searching for a program that promises quick fixes just doesn’t work. The emotional implications of this mistake are haunting. The wrong curriculum is an easy fix. You can survive learning struggles without a diagnosis. Being alone, while unfortunate, is more about mom than the child. But this. The damage is there. It is repairable, but it’s a heart wound. It’s hard not to push. (That’s why a diagnosis is so important, it clearly shows you the limits and the strengths of your child.) If you’re guilty of this, like I am… a hug and apology is the fix. Along with prayer to help you not fall to the trap of pushing too hard. 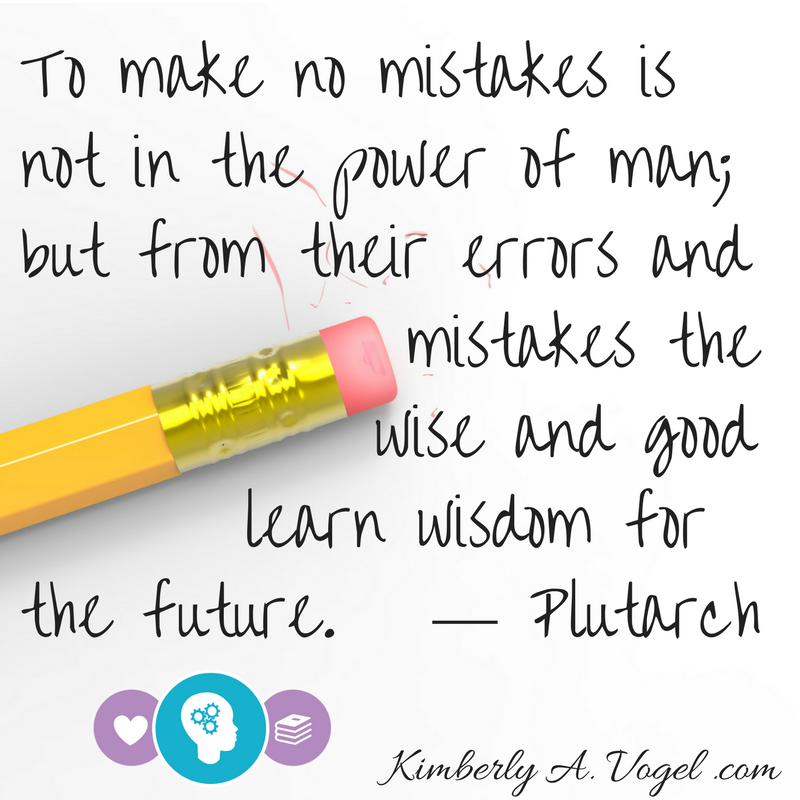 If you’ve made any of these mistakes… remember, it’s a starting place for learning. Stop denying, get a diagnosis, find your tribe, use proven methods, and don’t push. But first, give yourself grace. We all make mistakes. 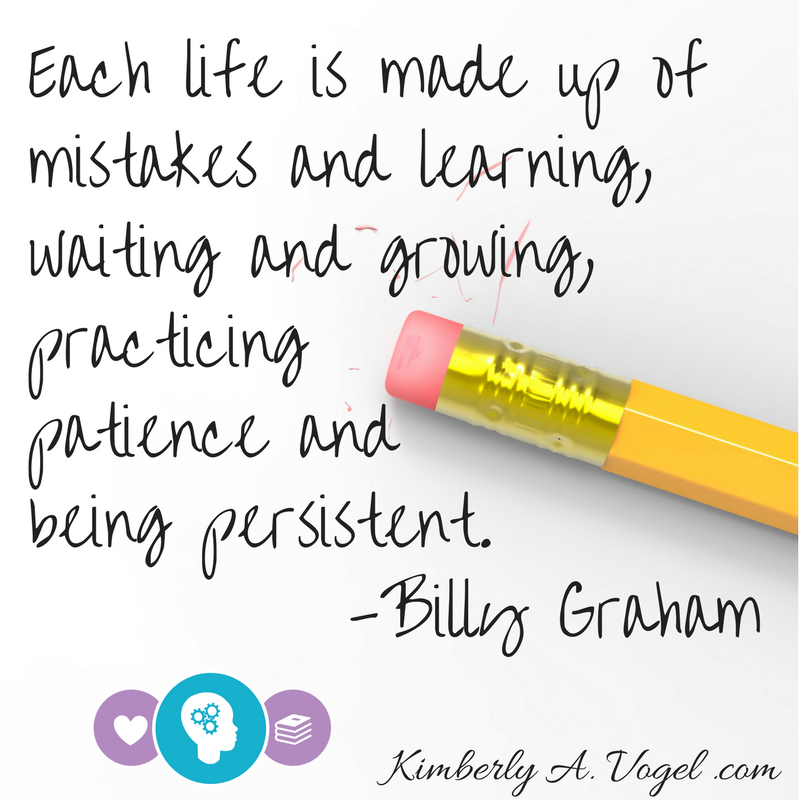 What mistakes have you made with your struggling learner? Comment here or on my Facebook page. If you don’t recognize your mistakes, you won’t grow from them! 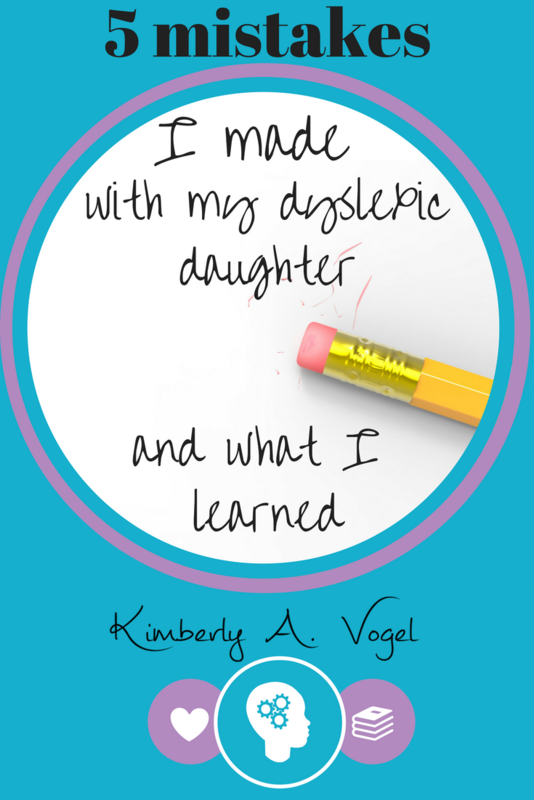 Oh, Kimberly – this is our story, too! #3 was my biggest fault. Thankful for your help, friend! Where or who do I see to get a diagnosis? A diagnosis can come from educational diagnosticians or psychologists. The International Dyslexia Association has some resources. I have some local to me. Contact me through the Thinking and Learning Center website for more detailed information! http://www.thinkingandlearningcenter.com I have a section there about testing!